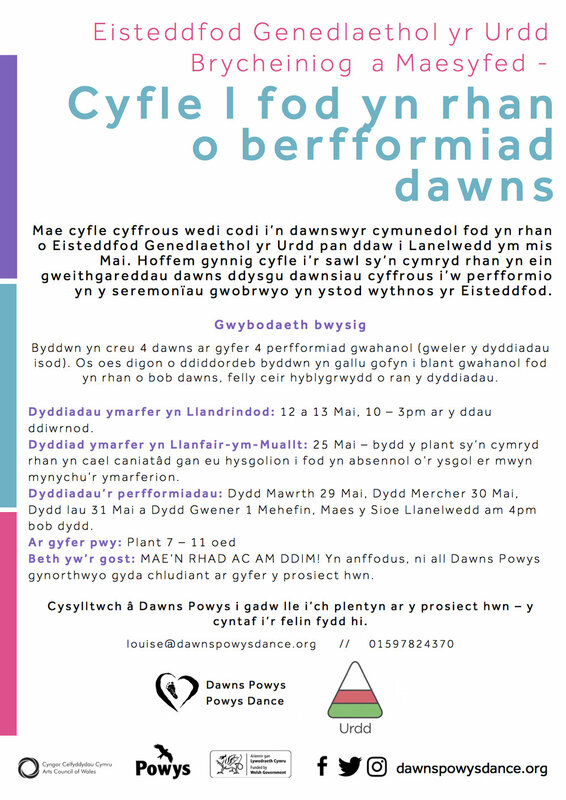 An Eisteddfod dance performance opportunity this May with Powys Dance, a chance for anyone aged 7 - 11 years to perform throughout half term on the National Eisteddfod stage! Book your child in to learn dances with us on May 12th and 13th in Llandrindod Wells to then perform at the Eisteddfod from 29th May - 1st June. If your child is already involved in the Eisteddofd they CAN still take part in this, it will not clash with competitions they may already be involved in. A life experience like no other! Being part of the National Eisteddfod. Learning new dances, making new friends and having a wonderful half term experience.